The Chatham County Historical Museum originally opened in the Chatham County Courthouse in 1990. When the Courthouse was damaged by fire in 2010, the museum, though largely undamaged, closed. 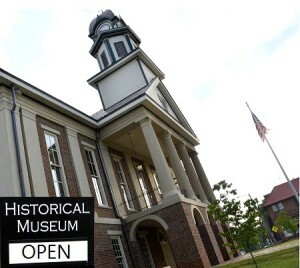 The Chatham Historical Museum reopened in the newly renovated historic courthouse in 2012. Exhibits within the museum tell the story of Chatham County’s history from the time of Native Americans in this area until today. Personalities who contributed to the diversity and development of the county are highlighted. Volunteers welcome visitors and encourage the preservation and appreciation of our heritage. Fourth graders from all of the county schools have the opportunity to visit the museum and courthouse. The museum is located on the ground floor of the historic Chatham County Courthouse. Maps, colorful posters, historical books and Christmas decoration souvenirs are available for purchase. 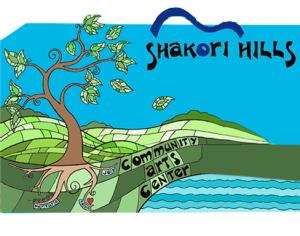 Wednesdays – Friday 10 a.m. – 4 p.m.
First Sundays 1 – 4 p.m.